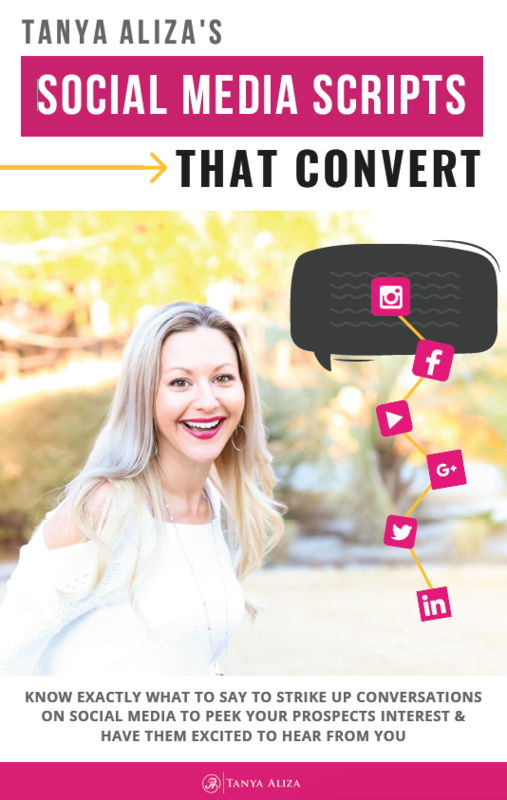 I see so many people mess up their Social Media prospecting and marketing it’s unbelievable that I knew I had to do training on this and give you some resources to help your Social Media selling. Remember: People love to buy, but they don’t like to be sold. With that said, it’s so important to use Social Media to build your business because it is an incredible avenue to do so…. but we have to do it right! I’ve built a very thriving and successful business on Social Media and I hope you do exactly the same thing. From Hello to Thank you for your Business! Whether you’re selling any goods or services or you’re doing any kind of recruiting for your business, this is going to help you. As always, I have an awesome freebie for you! 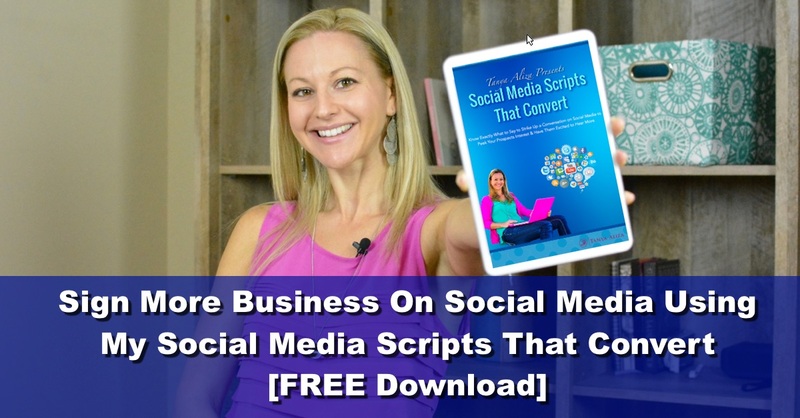 I’ve put together a free resource called Tanya Aliza’s Social Media Scripts That Convert. 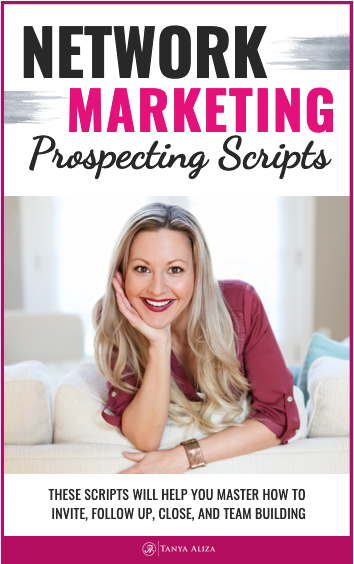 This is a very popular download that I share with my team and it’ll gives you the exact scripts that I’ve used to create a massive team with my company. You can copy them and use them for your business and modify them depending on what industry you’re in. If you think these scripts would help you and you’d like to grab a FREE copy, I’d love to share it with you! or you can TEXT 2download to 44222 and I’ll send it your way! I know you’re going to love it! When we’re dealing with Cold Market prospects (people we don’t know), we want to move them from Cold Market, to Warm Market to Hot Market as fast as possible. My friends over at Digital Marketer, who I learn a lot from, are who taught me how to move through the Market Phase of getting people into your world, getting them warmed up to you, and then welcoming them as a new customer. You want to promote and keep curiosity. Social Media is a place to share stories and share lifestyle instead of appearing salesy. People don’t go to Social Media to buy stuff. They go to Amazon for that, right? To market effectively and move someone from Cold to Warm, you have to respect the platform and do it in a way that is going to work most effectively and help your brand. Instead of just sharing your link, book appointments with people and take them through the process in a more professional way, and if you’re using my Social Media Scripts that convert, you’ll see some of this magic unfold. Make sure your profile is setup to WIN! When someone sends me a message on Social Media and I don’t who they are, what’s the first thing we all do? We go check out their page. Is your profile setup so that if someone is on your page, you’re viewed as a credible professional that someone might like to do business with? Check you your profile and edit it to better show you as a professional instead of a sales man or women. So what should you be saying on Social Media to have success with your cold prospects? Goal #2: Do they keep their options open? For the full scripts I use on Social Media, grab your FREE copy of Tanya Aliza’s Social Media Scripts That Convert! I share this download with an elite group of clients that I work with in one of my coaching programs and they absolutely love it. They’ve used them and the results and testimonials are absolutely amazing. Share your results with me in the comments section below. 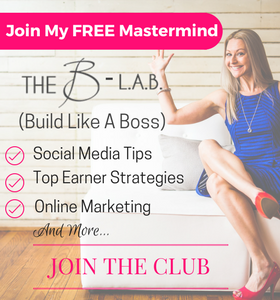 I’d love to hear how these Social Media scripts are helping you and your business!